Hit for Hit vart vist på NRK våren 2018 og er ein sketsj-basert mockumentary om musikk og musikkbransjen der parodiane er så velspelte og musikken så god at den einaste vegen vidare er å ta det til scena! At the show 'Hit for Hit Live', Jakob Schøyen Andersen, and Frifjof Stensæth Josefsen, comedians and musicans behind the famous concept Hit for Hit, with the characters from TV and invites them on stage live! 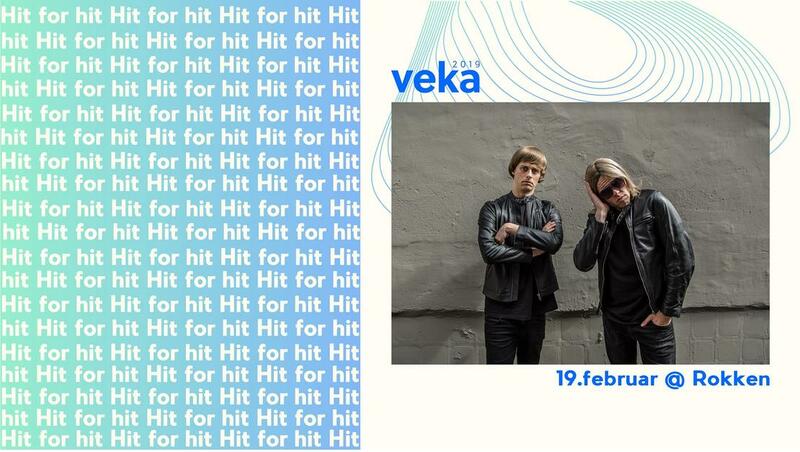 Hit for hit was broadcasted at NRK the spring of 2018, as a show based as a mockumentary about fictive music artist in Norway, and the parodies are so great that they deserve to be presented on stage!